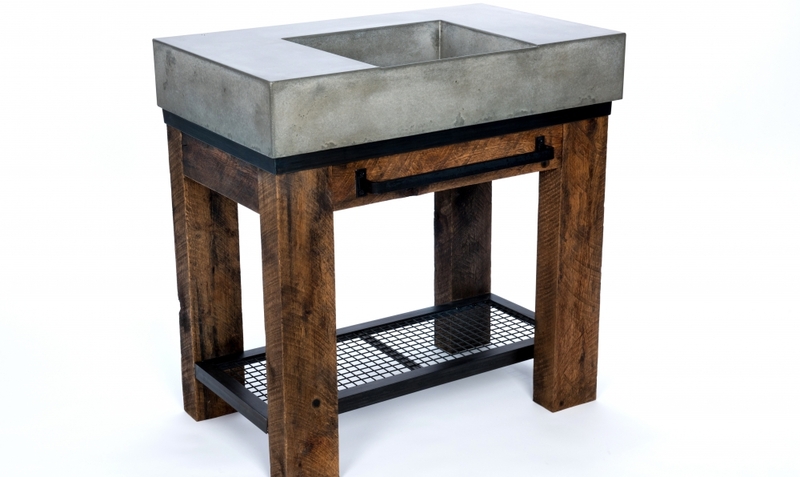 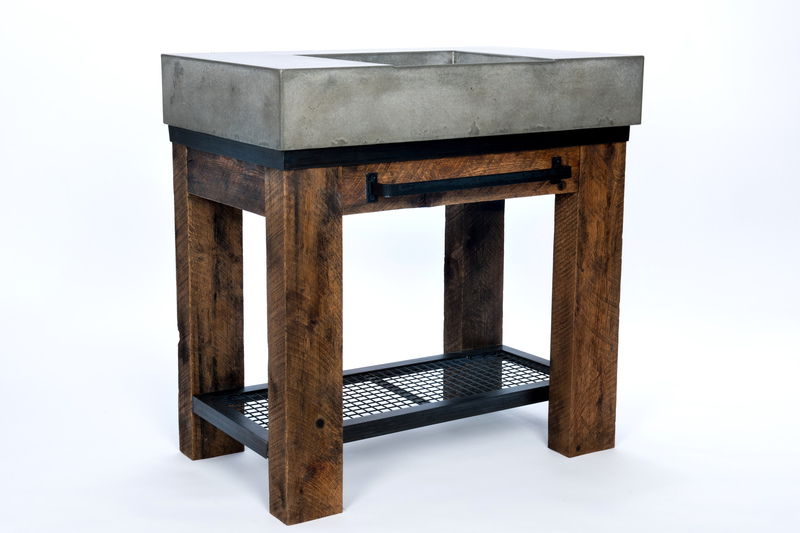 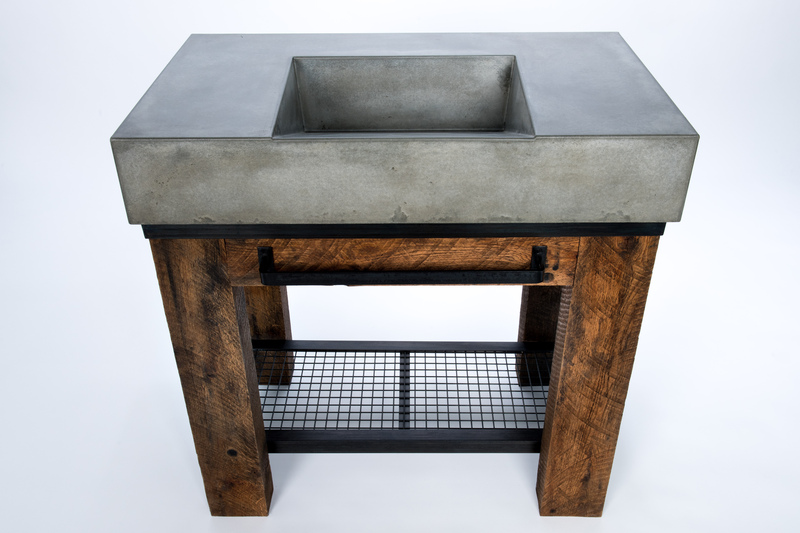 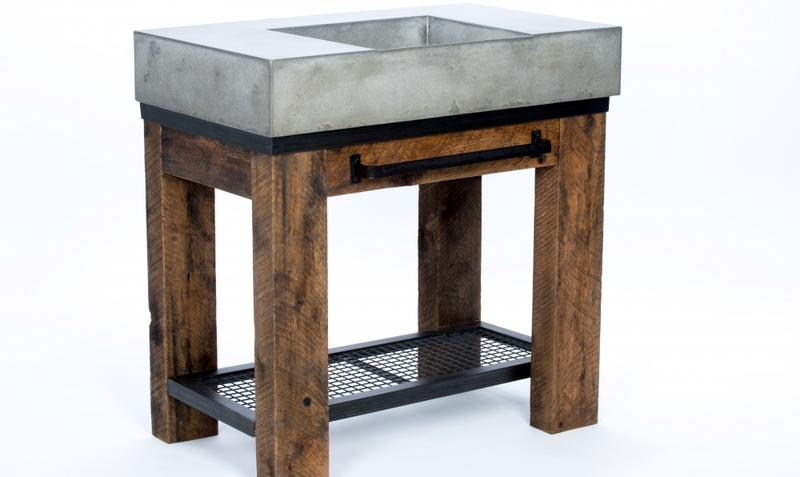 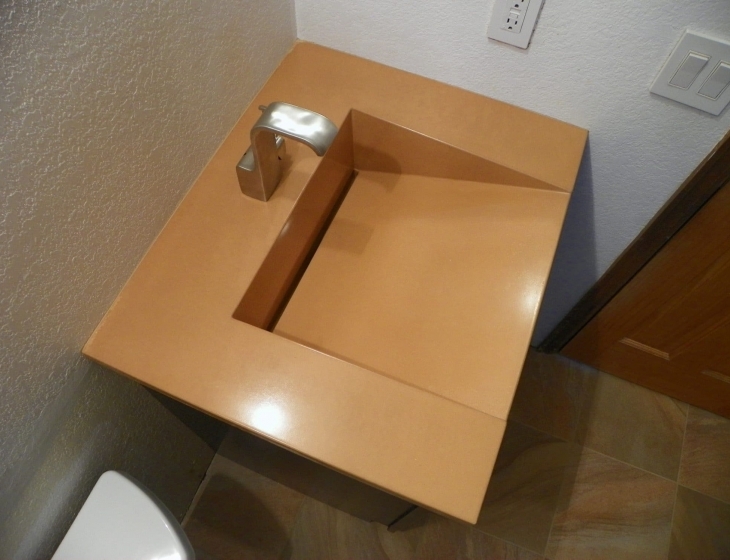 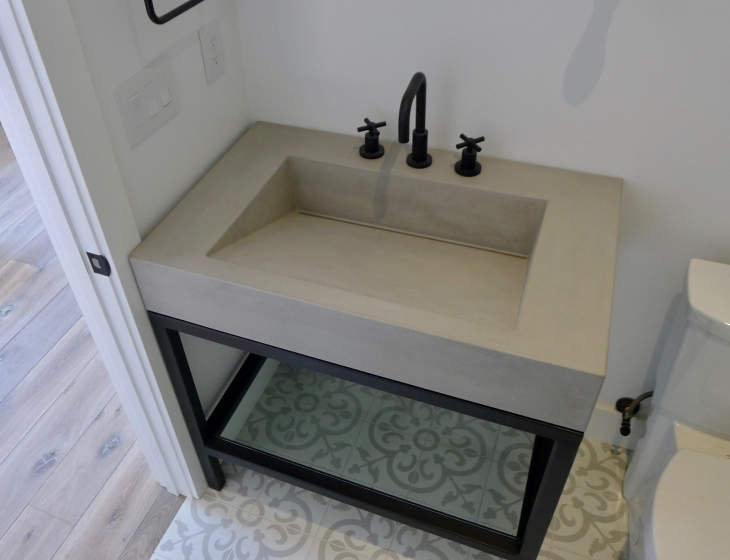 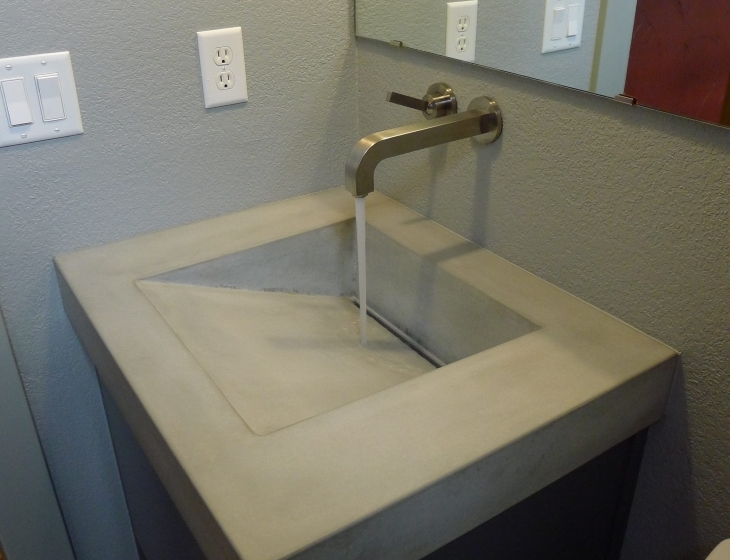 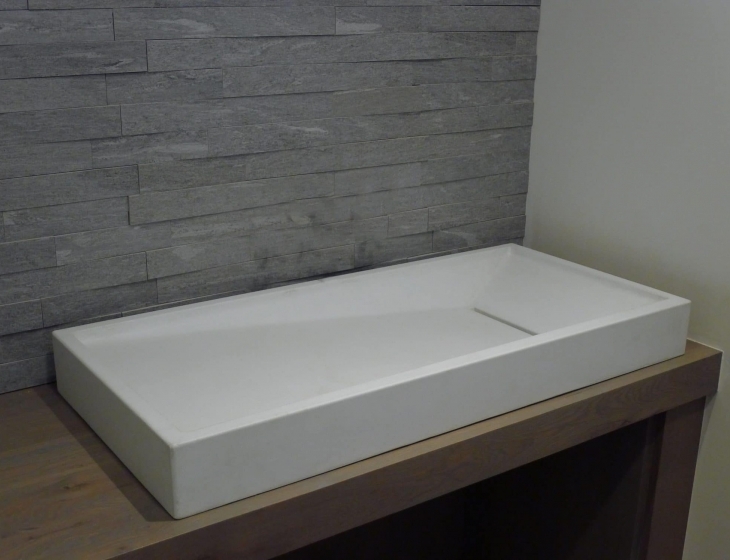 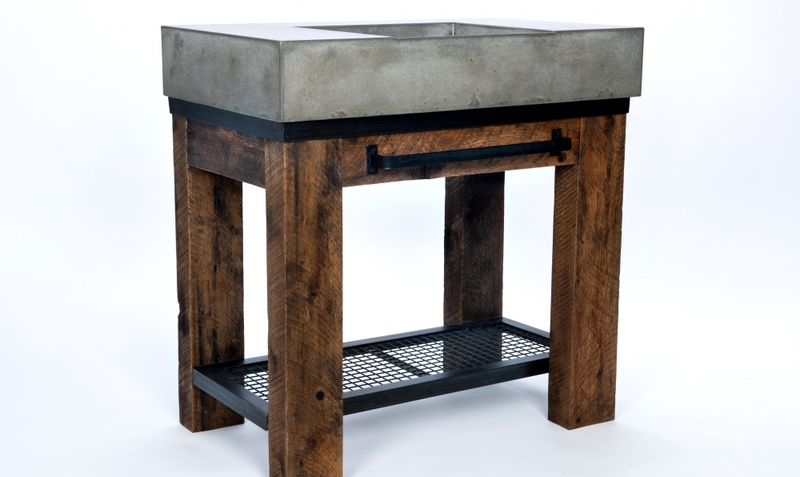 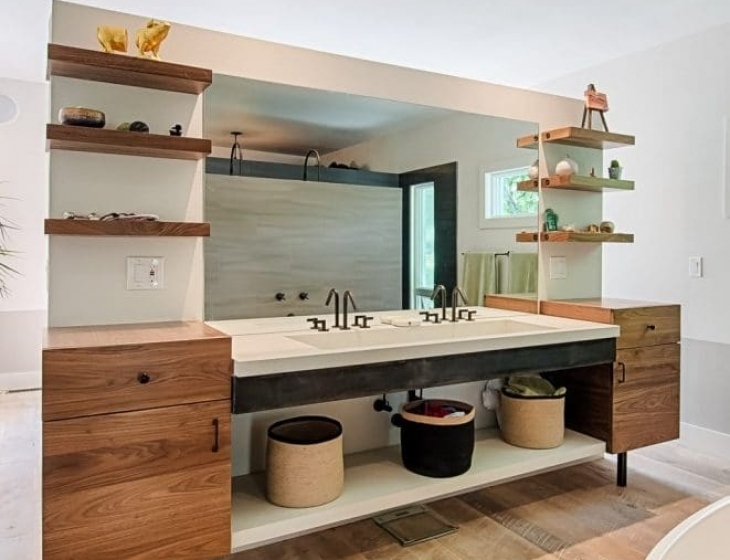 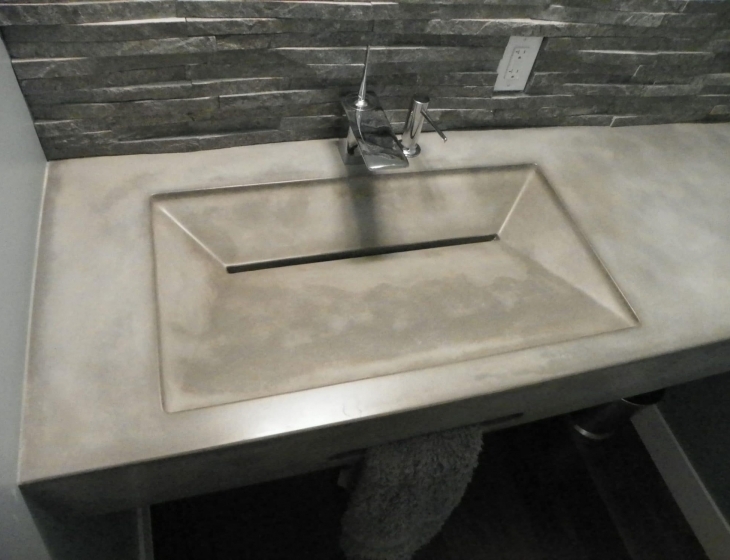 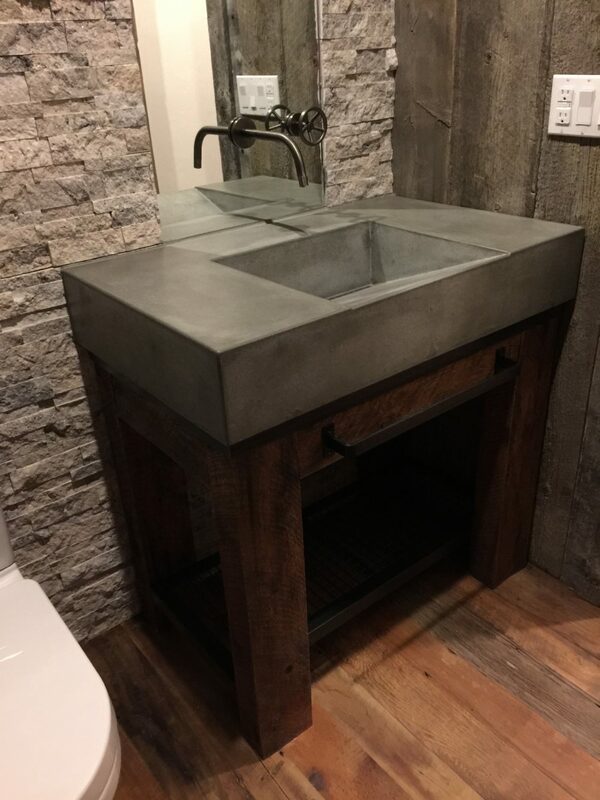 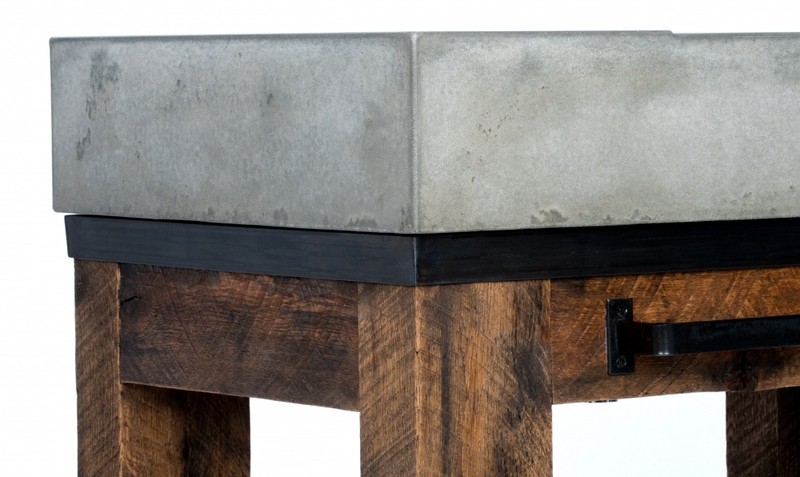 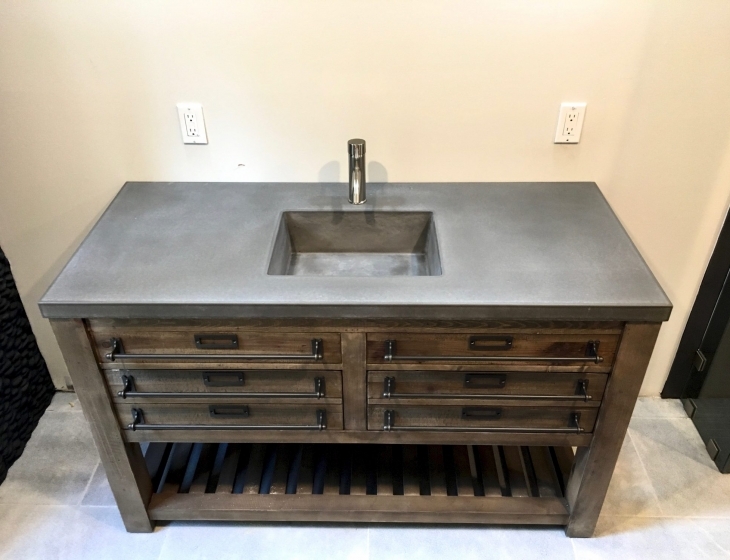 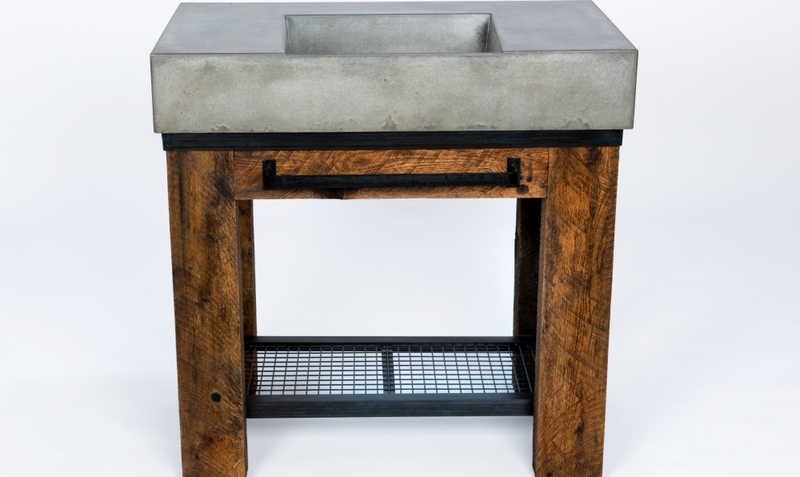 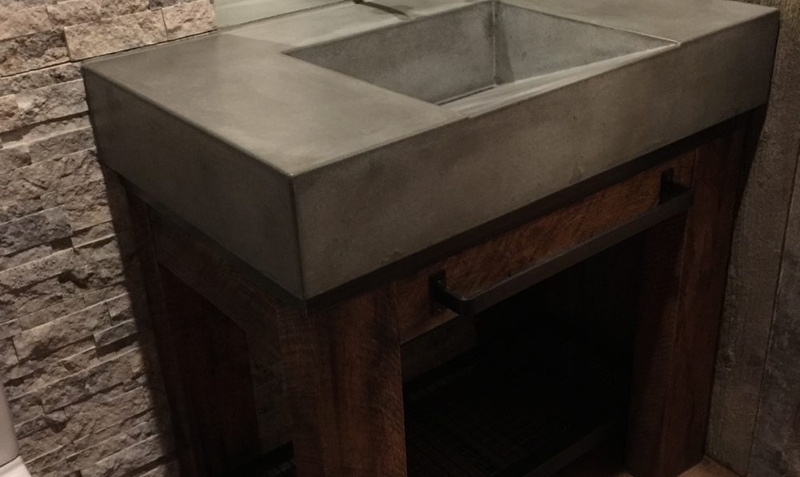 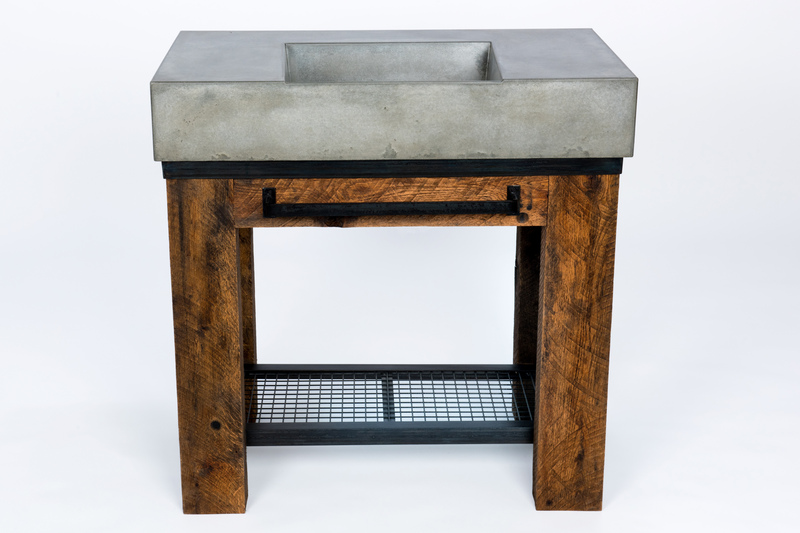 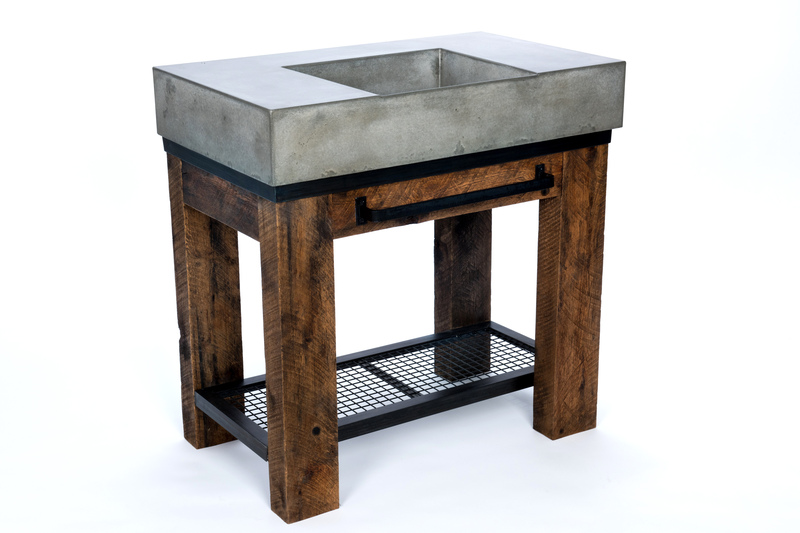 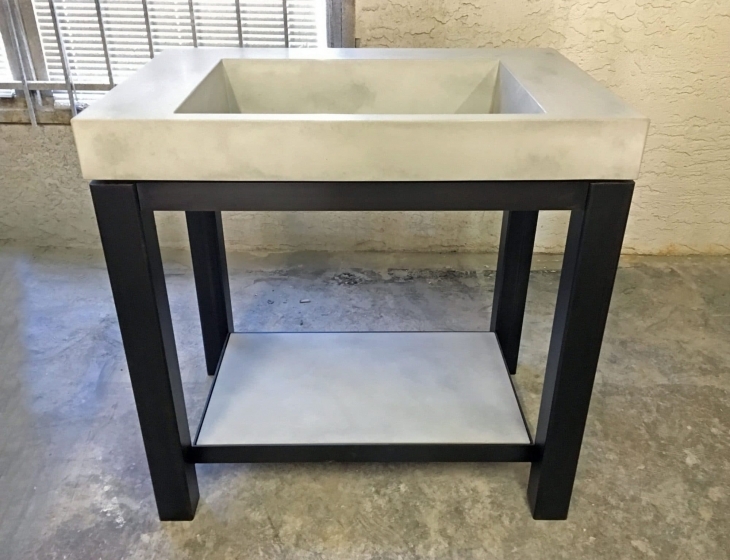 This 6″ thick natural grey ramp sink is complemented by a reclaimed white oak vanity base. 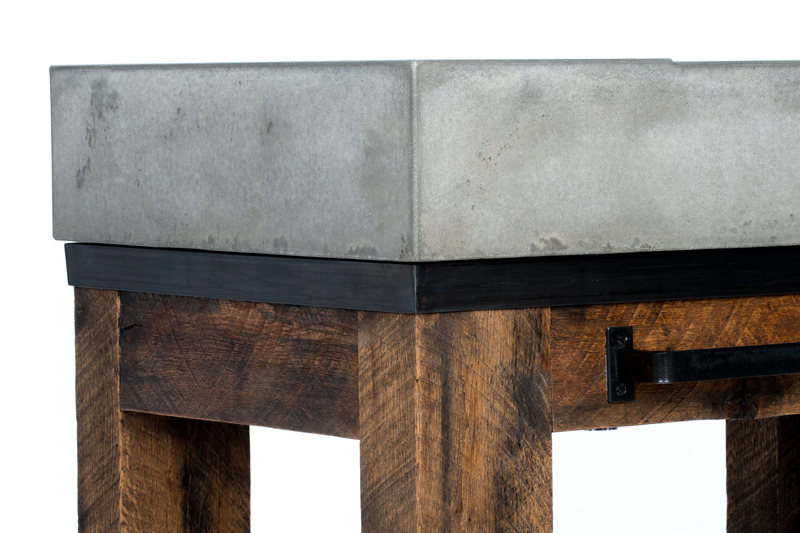 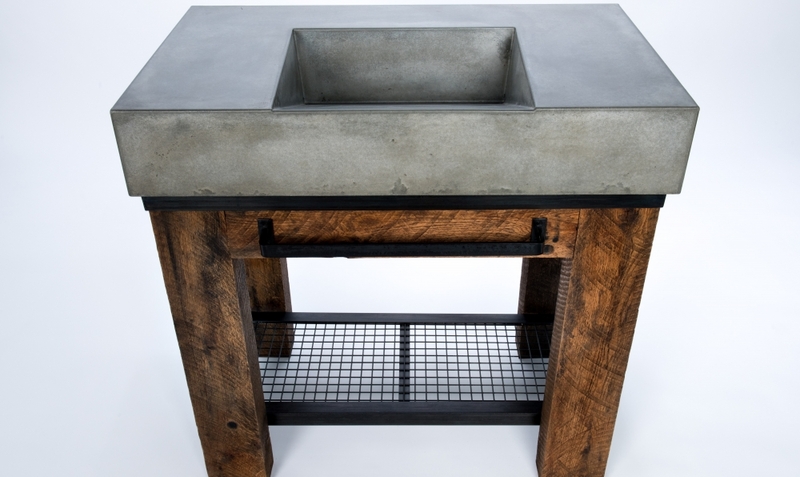 The base also features blackened steel accents such as a lower shelf and a towel holder. 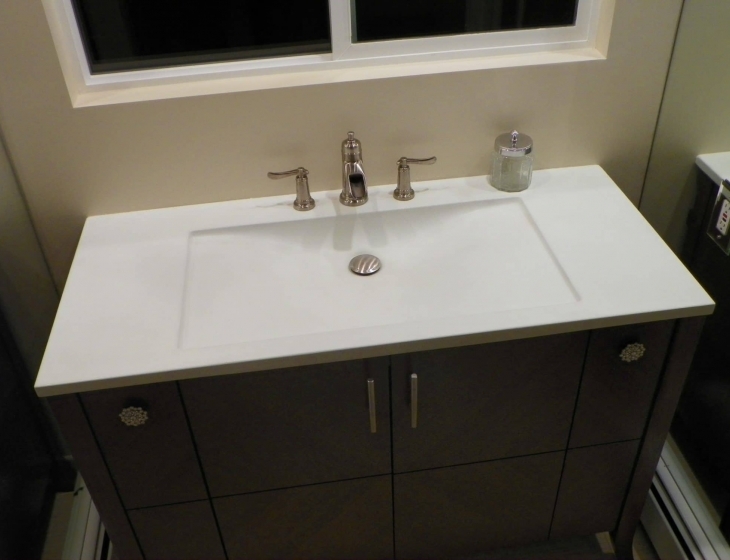 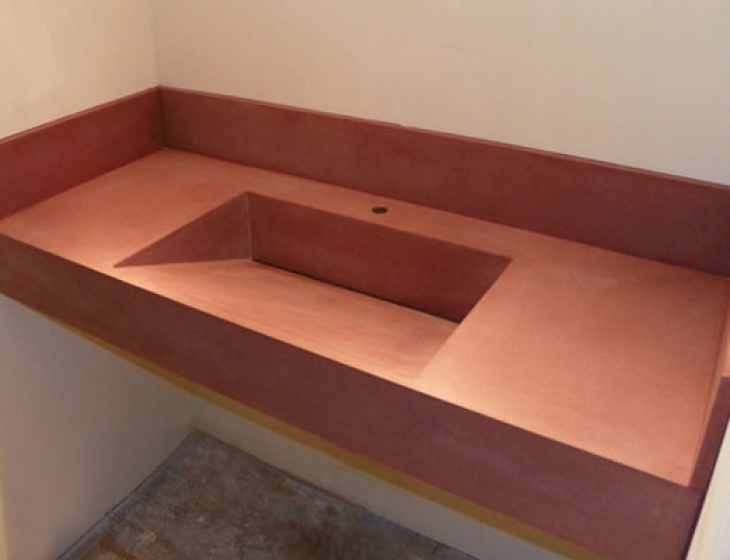 All facets of this project were created in house.